Thanksgiving is next week (in case you haven't heard) which means Christmas decorating is just around the corner and oh how I love a little Christmas decorating. 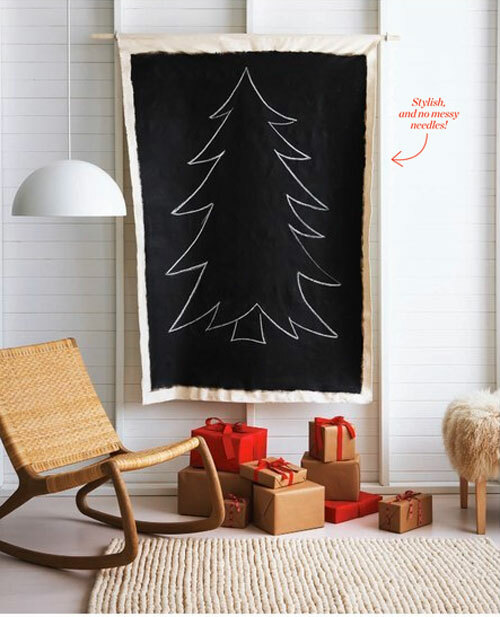 This year my husband and I are going to be doing a lot of traveling so we might be better off pulling out a chalkboard tree like this little number and maybe we'll throw in a real pine wreath for that Christmasy smell. No messy needles! :) But also, no great smell of the tree! Super cute for a small space!